The Shaker 56 Iridescent Backless Ankle Boot from Demonia is a vegan leather ankle boot with open back. 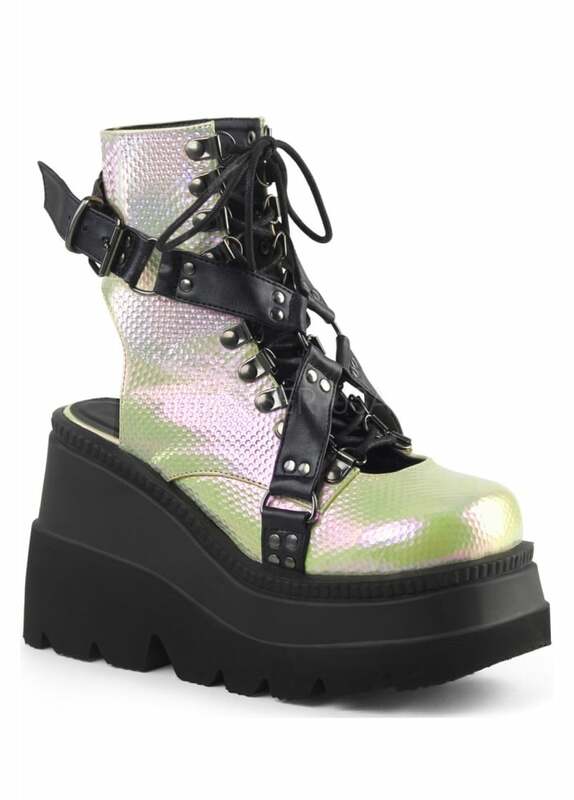 The alternative boot has a green textured upper with iridescent effect, a wedge platform sole and lace up front. The boot features an adjustable studded harness strap.